[Contest] The AngelForge First Custom Contest of 2015 | The Fighting 1:18th! 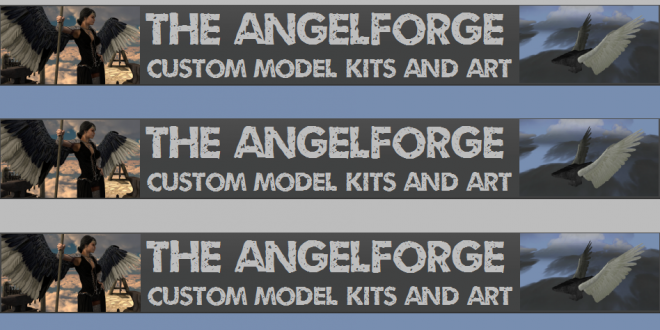 The AngelForge has opened a new web forum to go along with it’s online store of custom sculpts. With the opening of the new forum, The AngelForge has started their first custom contest in their new home and of the new year. Here are the details from The AngelForge. 1. Make a custom figure (or figures, maximum of 3) or use one already completed, but it MUST BE CURRENT, made in 2015. No prior year customs will be accepted. 1 figure per entry. 3. Post your custom (or customs) in the Custom Contests! ( Custom Contests! – Forums ) section as “User’s First AF 2015 Entry” #1, 2, or 3 respectively. 4. Pictures must be at least 800 x 600, and cannot have any Custom Club/Group logos. A personal logo not affiliated with any group is fine. 1st prize: $40 AngelForge Store coupon good through March. 2nd prize: $25 AngelForge Store coupon good through March. 3rd prize: $10 AngelForge Store coupon good through March. Winners will be announced no later than Saturday March 7th! Can’t wait to see your customs, and good luck!